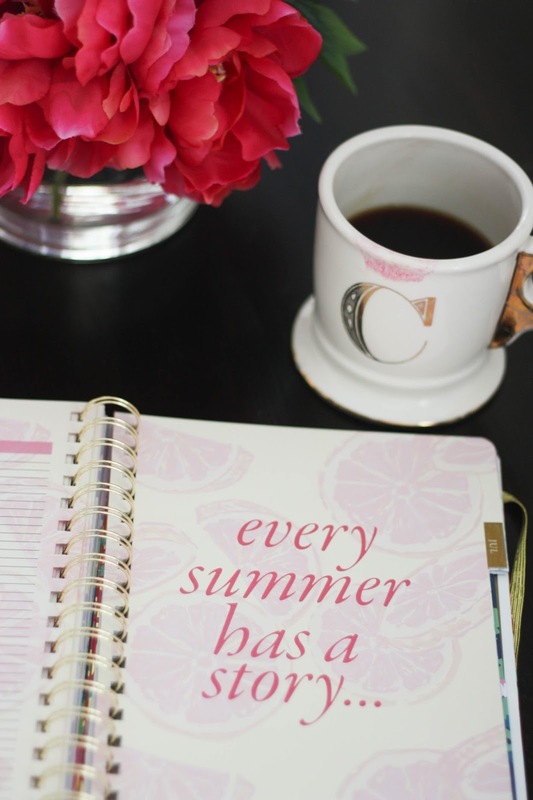 I didn't think I would use a planner all that much after I graduated from college. But a year and a half later, I actually use one way more than I did during school! Between my work schedule, exercise classes, social activities, and blogging, I write a lot of stuff down. So, I was very excited when Lauren James (remember when I wore one of their classic seersucker dresses last year?) 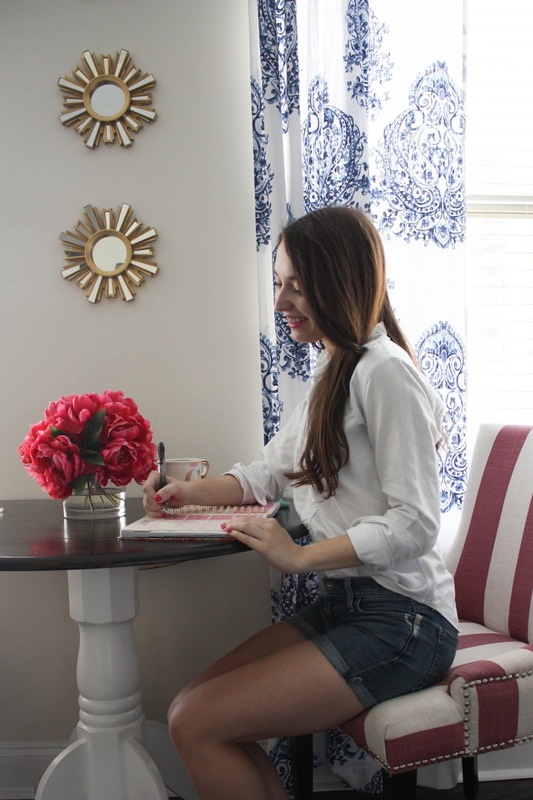 asked me to review their Timeless Planner! 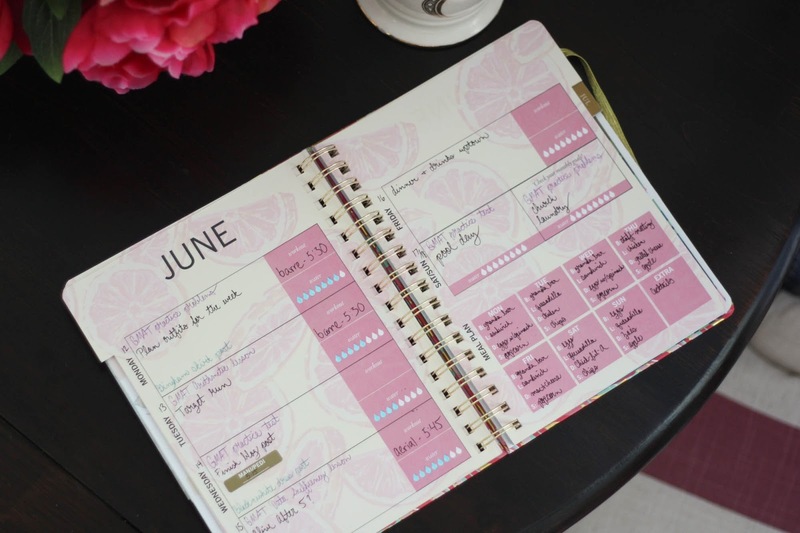 It is called the "Timeless" planner because it does not matter which month you start using it. You can buy one in any month during the year, and it still lasts a full year. The dates are blank, and you fill them in as you go. I am starting this one in June 2017, so I will be using it through the end of May 2018. 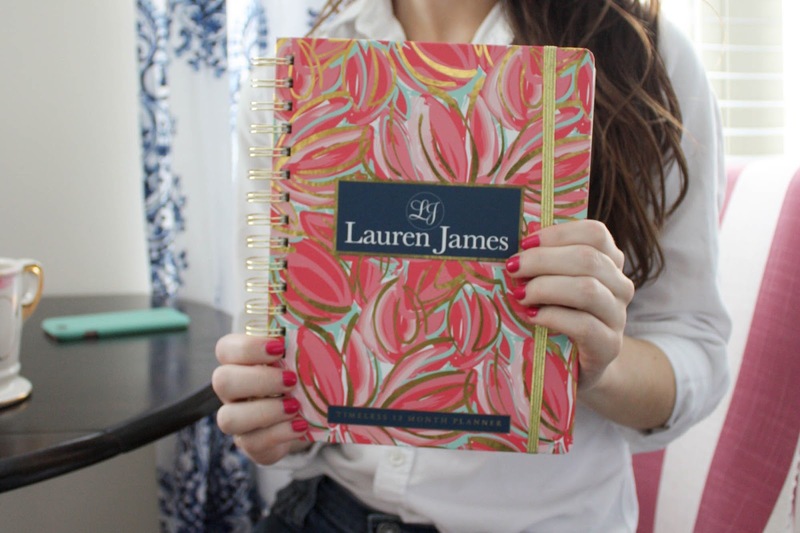 I typically buy 18 month planners, and end up using only 12 of those months, so I really like this concept! Each month has a monthly goals section, with a few boxes you can check off after you have reached them for "Career", "Fun", "Family", etc. There is also a notes section at the bottom of the monthly layout pages. Which I think it will be great to use to reference something that I couldn't fit in the smaller boxes. And how pretty is this cover?! It is also available in two other prints. 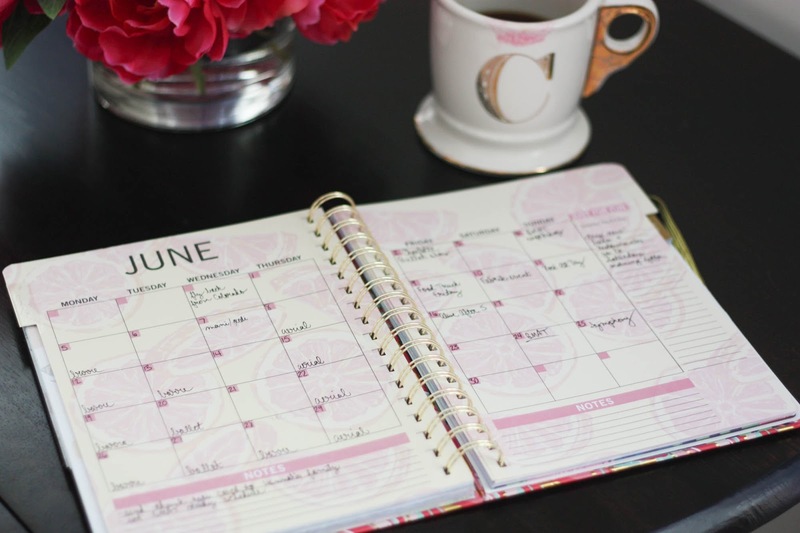 Some other great features that I have never seen in a planner before, are boxes to track your exercise and water intake for each day, and a meal planner for the week. I have mentioned before that I use ClassPass for my workouts, and I always write my class schedule to see how many I have left to take for the month. As for the meal planning, I tend to cook the same 3 or 4 things in rotation...I think it's a great idea, but I don't think I will be using it much myself. Although, I have been trying to drink more water, especially while I'm at work. I have tried to use a water tracker app, but was not very successful. So I think having it on paper might be just what I need to keep up with it! At the end of each month there is also a notes section and a page with cute little saying like this one! There are also several sticker pages in the back that you can place on dates for things like vacation, mani/pedis, appointments, gameday, birthdays, and (my personal favorite) sales! 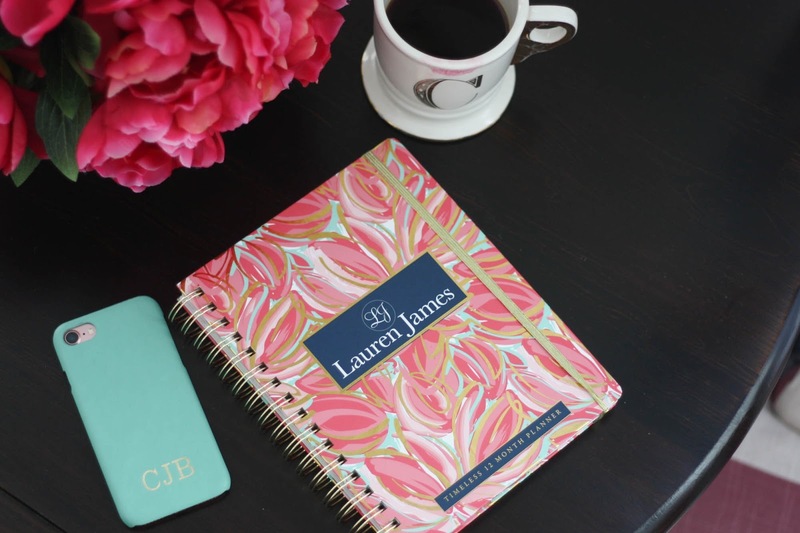 And at the beginning of the planner there are some useful pages like a password keeper, a list of holidays, and a gift list. 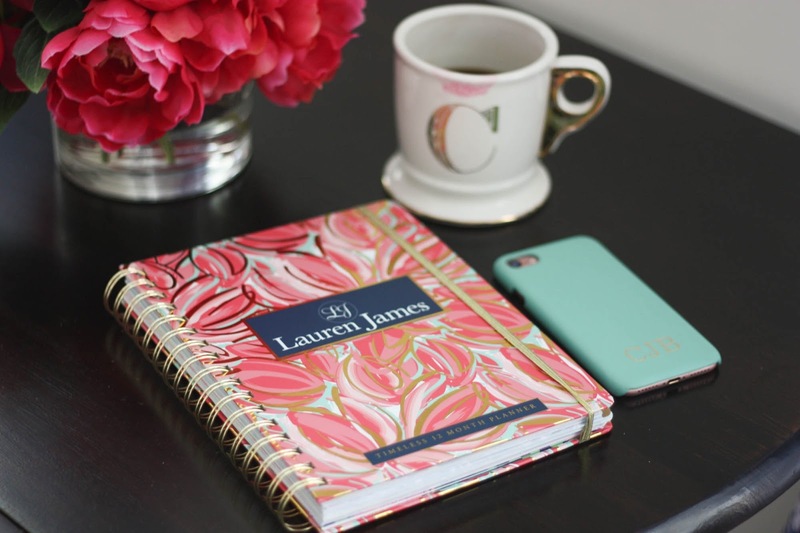 So, the Timeless Planner has pretty much everything you would ever need!